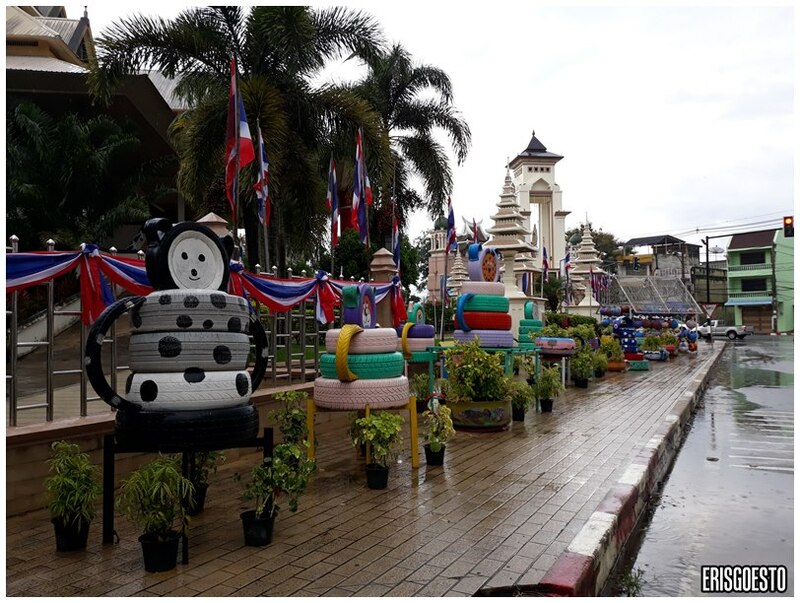 For a town with a relatively modest population, Betong’s Buddhist temple – Wat Phuttathiwat – is quite impressive. 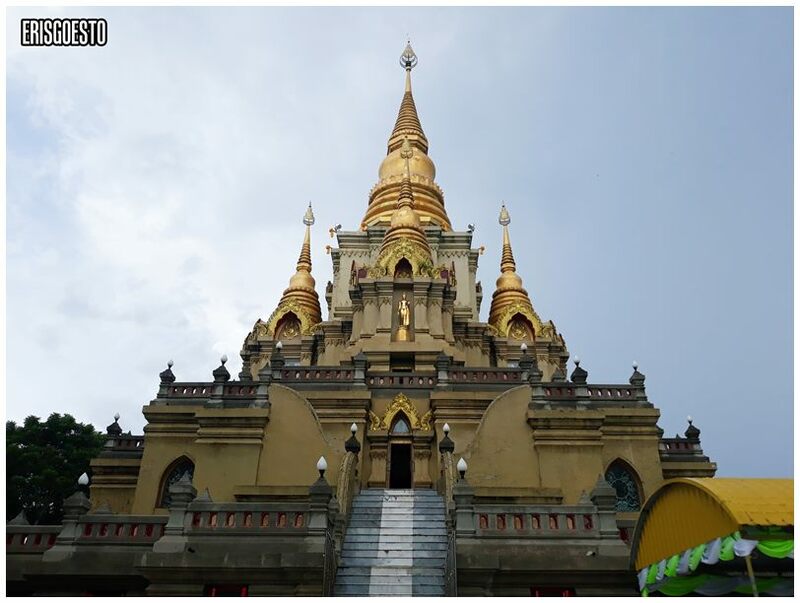 Sitting on a hill top overlooking the valley, the temple features unique architecture, with several golden spires rising into the sky. 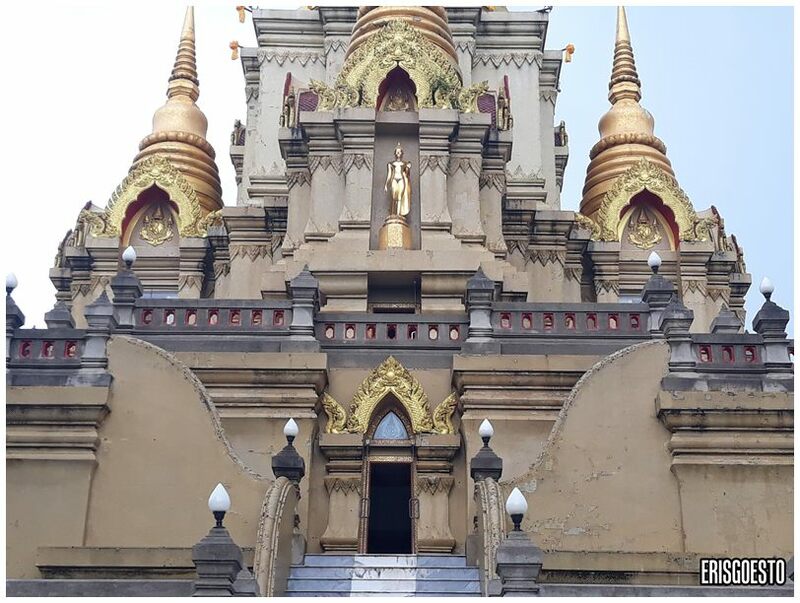 Done in a modern Srivijaya style and measuring 40m at its peak, the temple’s most distinctive feature is its gold colour, which is also the colour of royalty in Thailand. 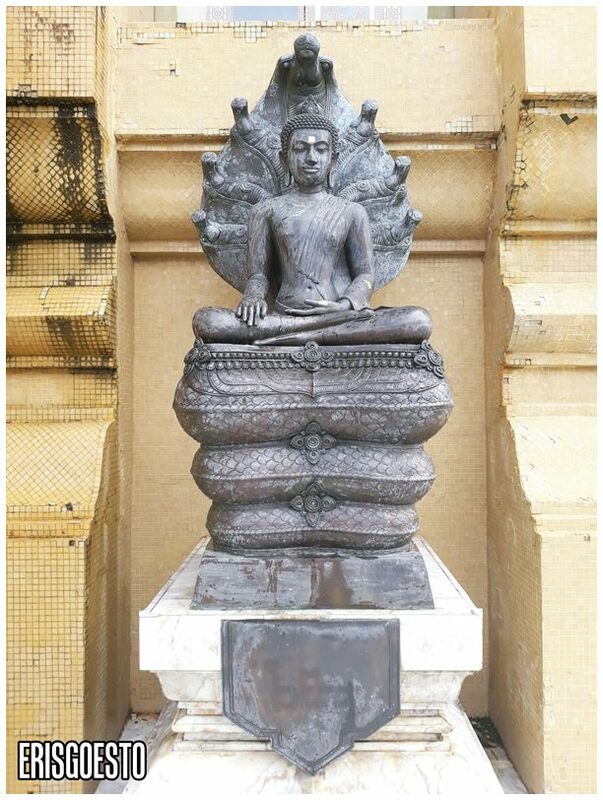 Fitting, seeing as how the temple was built to commemorate the birthday of the reigning Queen in that era. 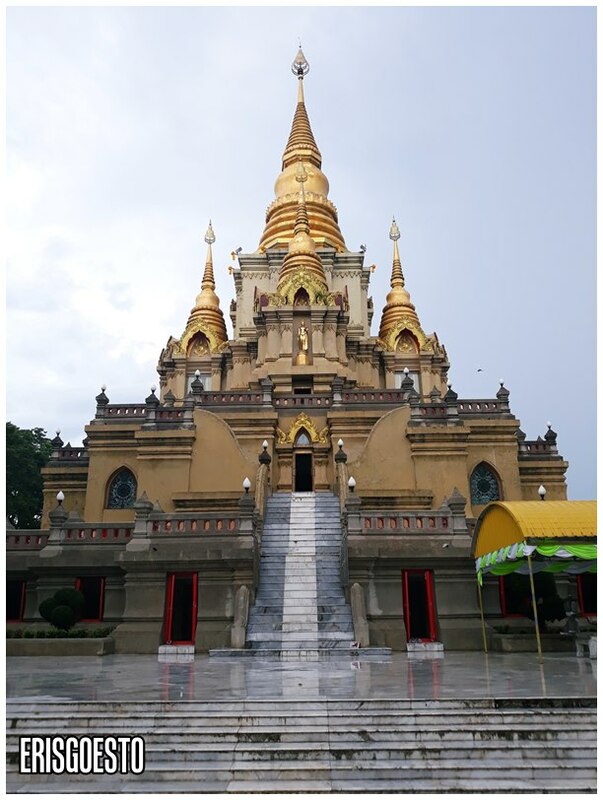 Construction was completed in 1953, making the temple well over half a century old. It is still very well maintained though. The building is divided into several levels, and both the inside and outside has marble tiled flooring. 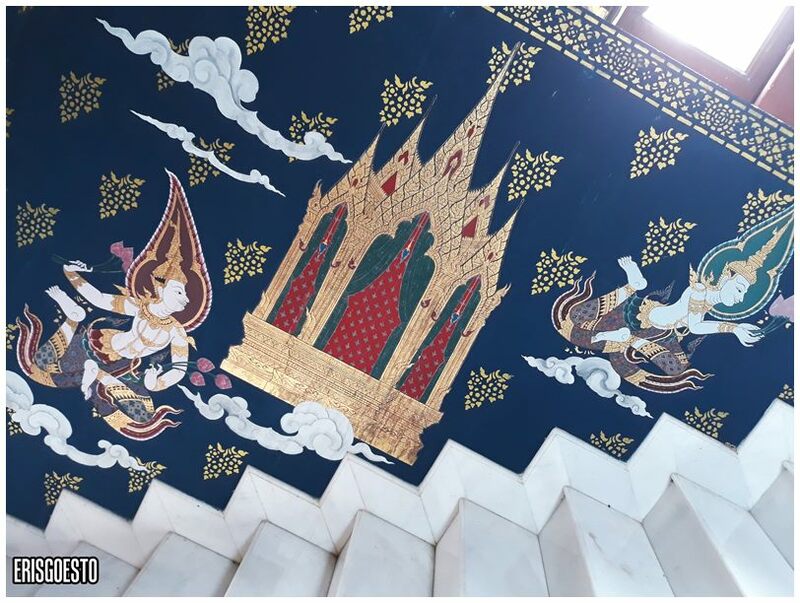 Typical Thai architecture: very detailed and elaborate. The inside felt quite bare after the opulence of its exterior. 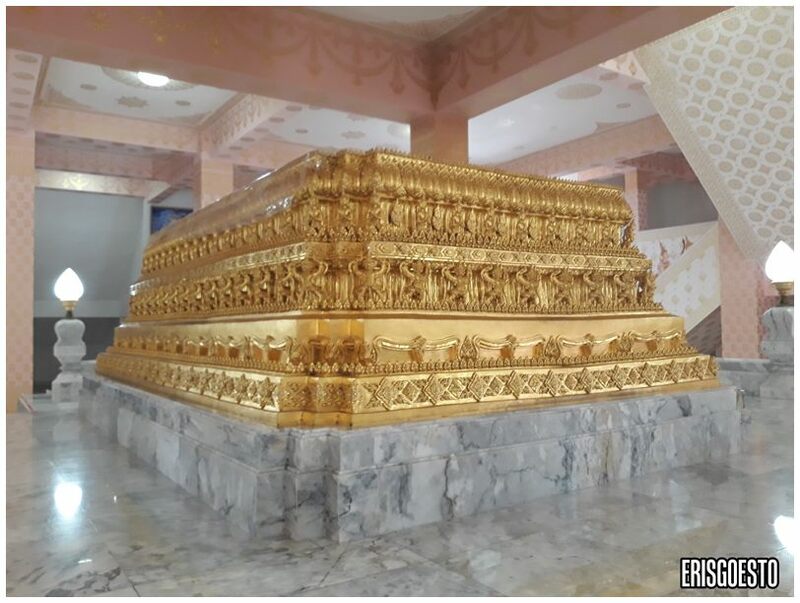 In the centre was a raised golden tomb of some kind, but since there were no caretakers/monks around, we had nobody to ask. 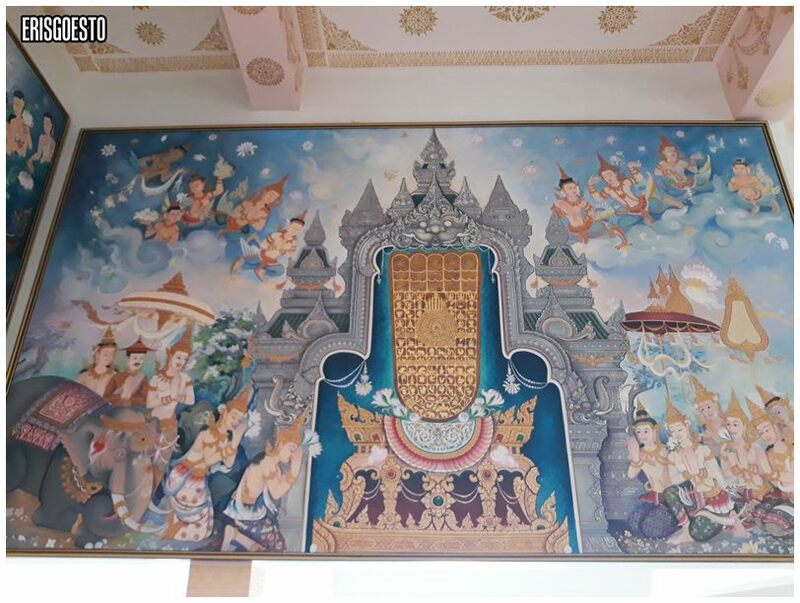 Several tapestries hung from the walls, featuring Buddhist monks and people in traditional Thai costumes. The paintings had a raised motif so it gave off a 3D effect. 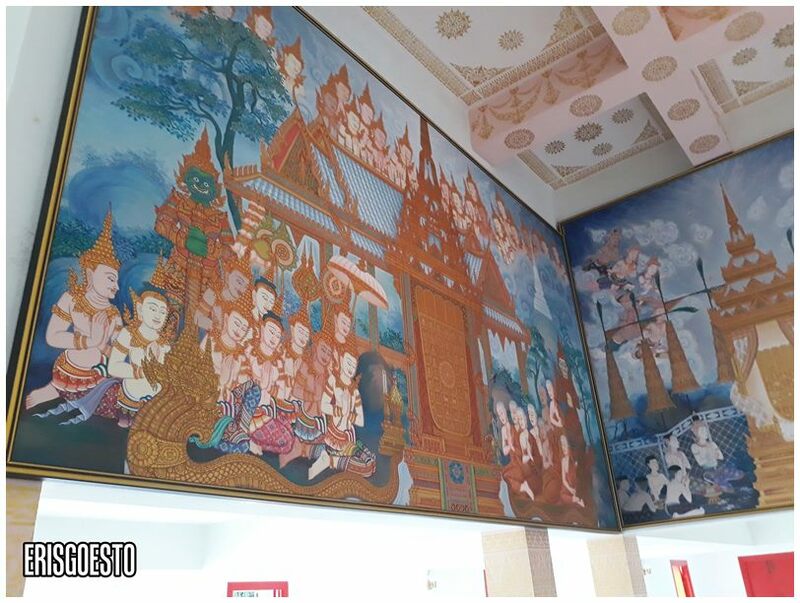 Very different from Chinese-Buddhist temples, since the paintings here reflect the local culture and beliefs. 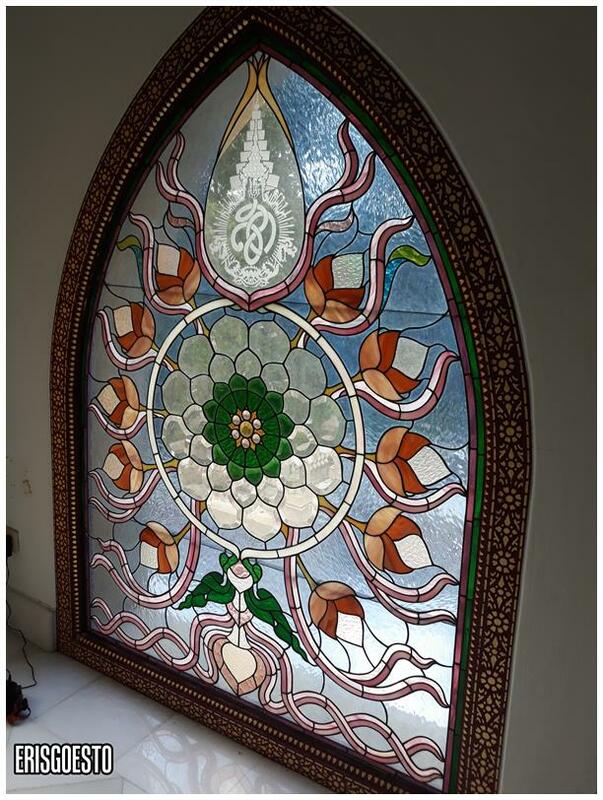 I’ve never seen stained glass designs in a temple before! Instead of saints, they had flower/geometric/animal imagery. 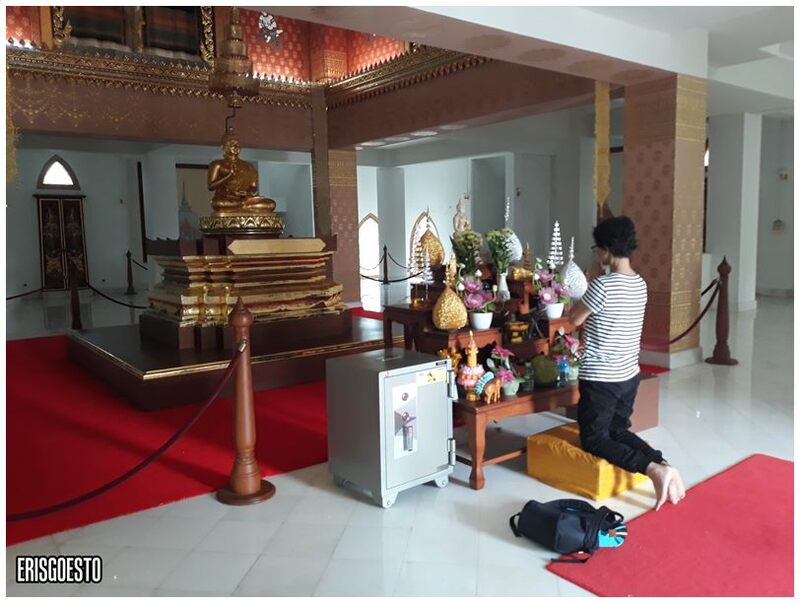 Although it’s literally down the road from the town centre, the temple is a quiet little sanctuary for meditation and reflection should you need to escape the stresses of daily life. 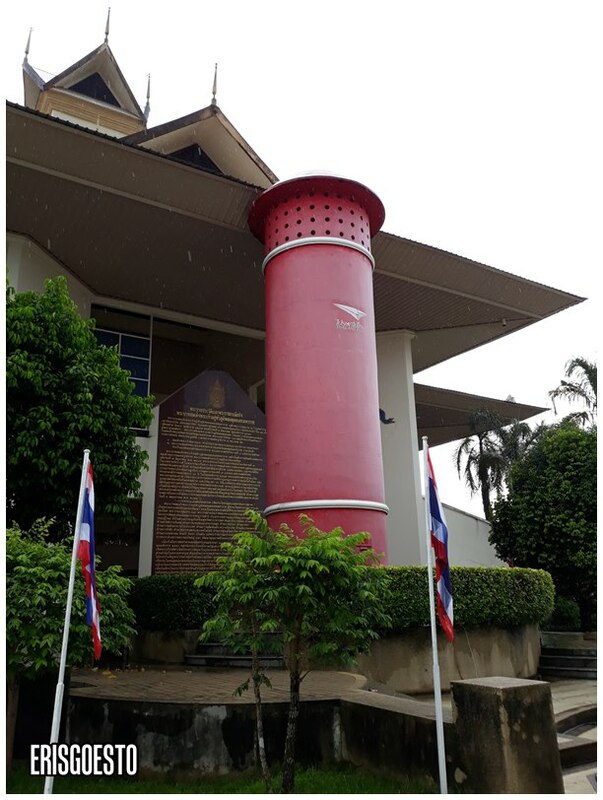 Before returning to the hotel, we braved the drizzle to make a quick pitstop to another tourist attraction in front of the Betong Town Hall: the supposed largest mailbox in the world (not really sure about this though, coz Guinness certifies the record to one in Illinois) ! It is very impressive, towering up at approximately 2.5 stories high. I wonder where the slot for the box is. Didn’t go near coz it was raining so we only took pix from the stairs. 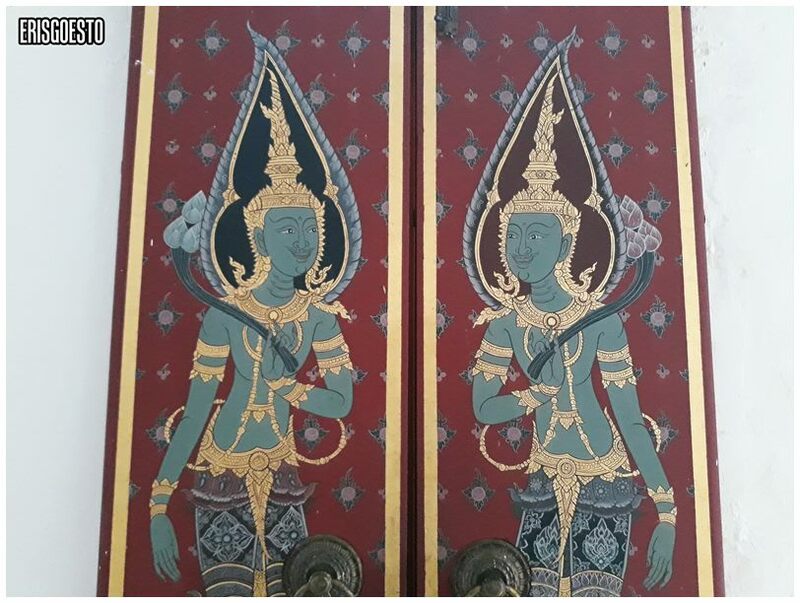 Love these wall murals in Buddhist temples in Thailand telling stories of Buddha & Bodhisattvas.